We are Gunsmiths who specialize in custom .450 Bushmaster hunting rifles and tactical rifles for PRS competitions. 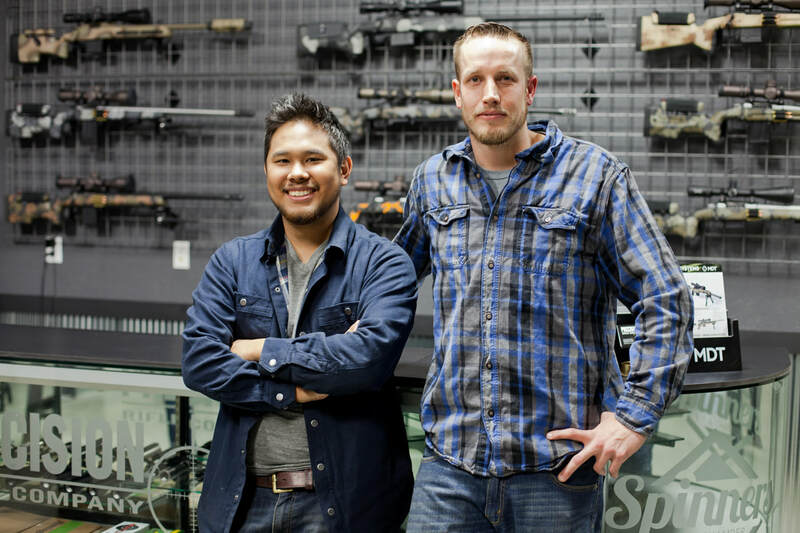 We wanted to bring the joy and fun of custom rifles to the people here in West Michigan. We have a combined experience of 15 years within the firearms industry. Our members have competed in a variety of precision rifle competitions and hunted all over the country. Our goal is to build the rifle of your dreams that will last for generations to come. We have two main focal points of rifles we build. We build rifles that take advantage of Michigan's new straight wall cartridge law by chambering them in the .450 Bushmaster cartridge. Allowing you to use the same rifle for any game in here in the Midwest. We can either convert your old action or build from the ground up on a Winchester model 70. Our other focus is our Precision Competition rifle builds. We machine factory actions to custom tolerances so we can achieve groups well below MOA. We carry a wide selection of fiber glass stocks and chassis systems that appeal to everyone's needs. A peek into our workshop. We are more than happy to take on the custom build of your dreams. Contact us at Sales@PrecisionRifleCompany.com so we can sit down and talk about all the options you have available.